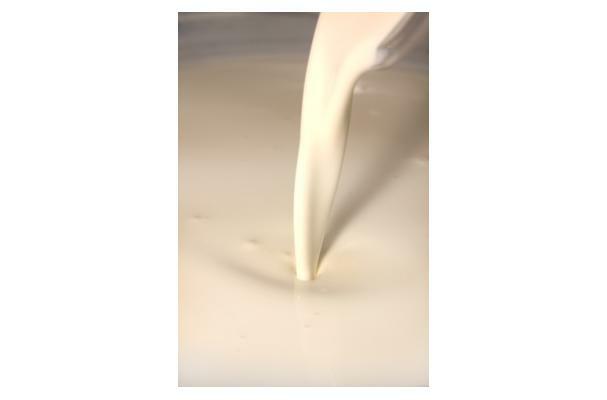 A sour milk resulting from the making of butter, or made from the fermentation of cow's milk. Generally, buttermilk has fewer calories than whole milk and can be substituted for it. Buttermilk is used to give cakes and pastries a sour, refreshing taste and makes them a little lighter. Buttermilk is often sold in two versions (regular (full fat) and low fat), each of which have their own look and texture. Regular buttermilk is chunky and thick, like a loose yogurt, and is white and opaque. Low fat buttermilk tends to be a little runnier, but is still chunky. The low fat buttermilk may also have a greenish tint to it, given the separation that seems to appear in it (much like yogurt). Choosing: You can choose any brand or even home made is good. Buying: It is available at all supermarkets. Can be consumed like yogurt. Great drink during summer. It can be stored in the fridge for few days. If store bought, you can store it up to the expiration date. If home made, it will last upto 4 - 5 days when kept in refrigerator.